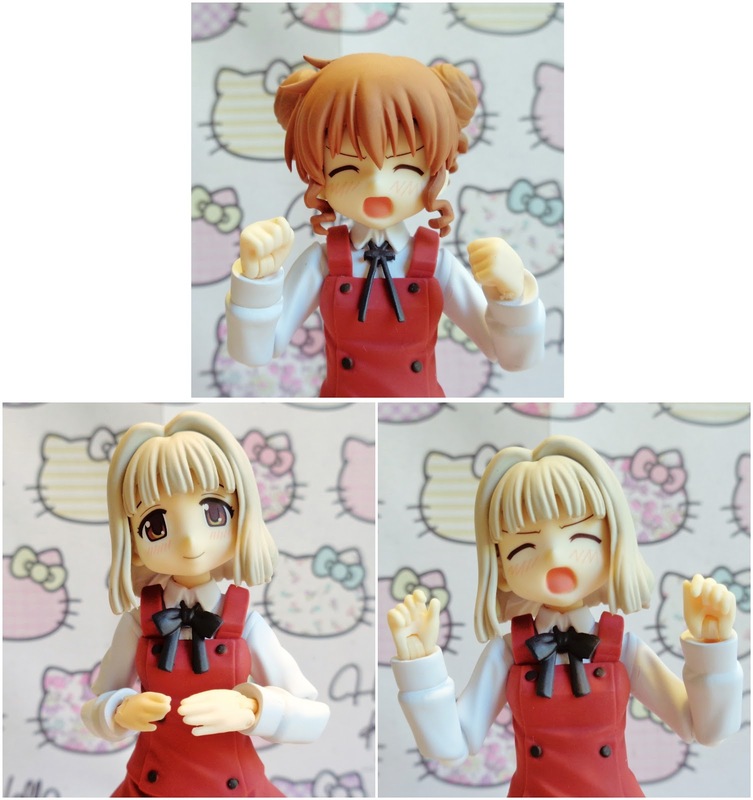 Hiro is from Hidamari Sketch x Honeycomb which is a slice of life story focused on a group of young girls who live in the same apartment building and Hiro is a weight conscious girl who wants to become an art teacher while Nazuna is a rather reserved and a bit of a klutz. 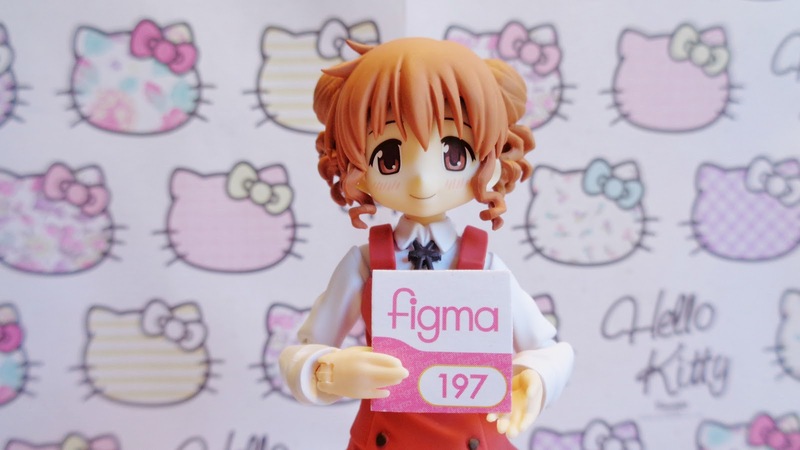 As far as paint and sculpt go she is what you expect from a figma, her paint work is great with no mistakes to be seen and her sculpt is very cute and looks character accurate according the images I have seen. Then there is the articulation, she uses the all the standard joints with the old wrist pegs, and as per usual in only a few places is her movement restricted by the sculpt. She cannot look up very far, her upper chest joint is useless despite her top being made of soft plastic, and her skirt limits a little of her leg movement, all of which are common problems with figmas. 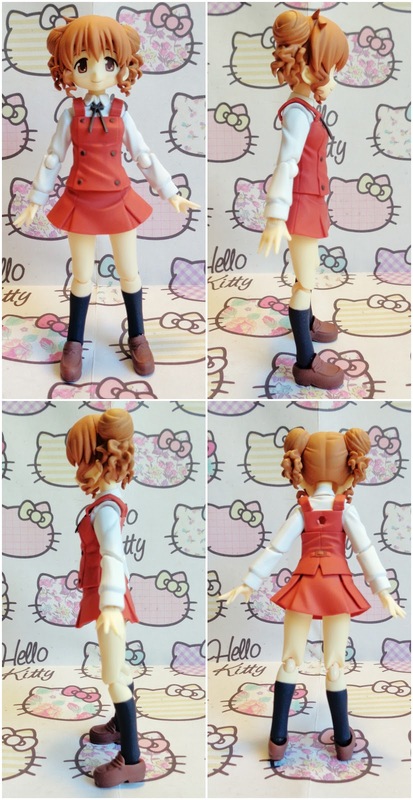 Extra articulation includes her two hair buns which can move backwards and forwards and up and down slightly. The first accessory Hiro comes with is the head of Nazuna who is equally as cute and to make the switch more character accurate they included an alternative neck bow. The bows peg into the shirt and each head comes with its own neck joint so you simply remove the whole head at once. 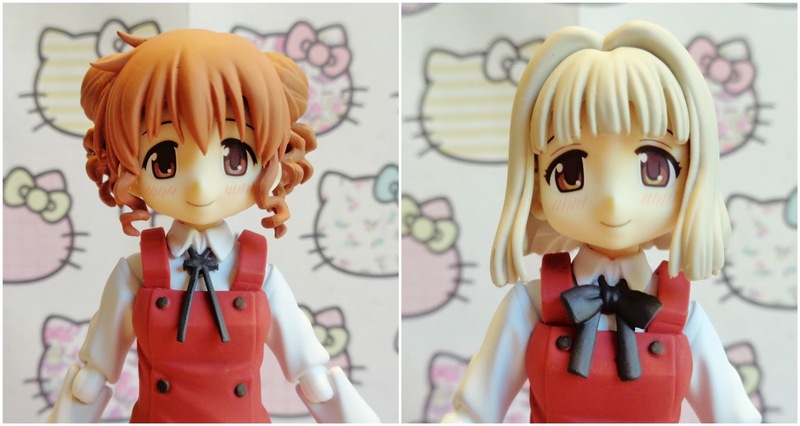 Another great thing is that the face pieces are interchangeable so you can have Nazuna throwing a tantrum as well, which is good because it is the only other face piece which comes with the figure. As for hands you get open hands as default, a pair of fists, relaxed hands, a pair for holding items, and hands which are rather curiously posed. If you know what they are for, a specific pose or something, feel free to let me know. 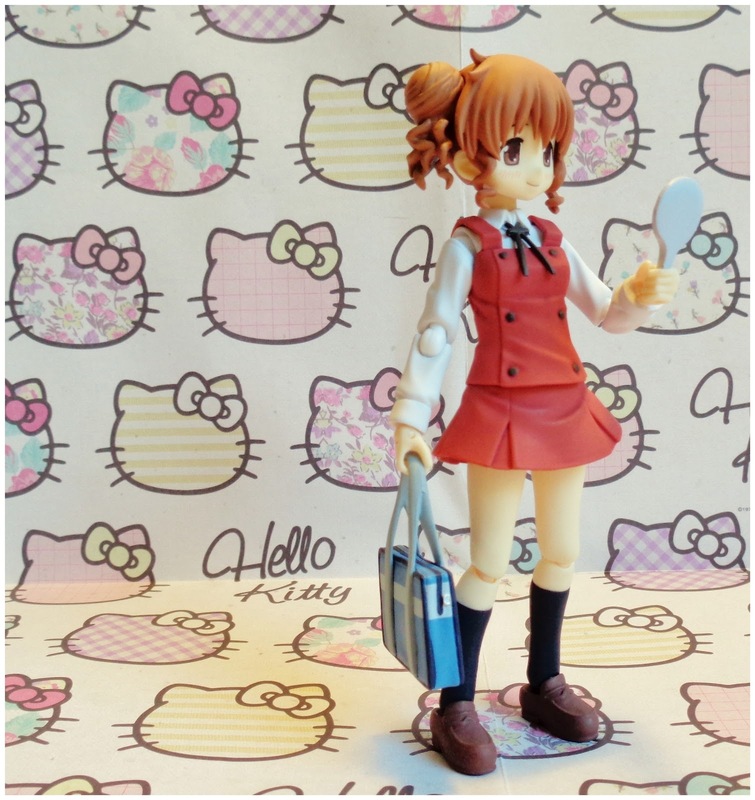 Over all I am very happy with this figure, she is cute and the extra head suits my purposes very well. However I unless you are a fan of the series I do not suggest picking her up as she doesn't come with many accessories and for me that is a major deciding factor when purchasing figures.